I was preparing students to get their real estate license at our Cherry Hill real estate school when one of them asked a question: “Is there any point getting our real estate license in November, when houses don’t start selling until the spring?” It was one of those many moments when I decided to put aside the topics we must teach to help student pass the state real estate exam and talk to them about the real world as Realtors®. When do YOU need to move? It’s always about the client, not about me. Is the house ready to be shown now, or should they undertake some improvements before putting on display to potential buyers? Why are you selling? If there is an urgent need to sell quickly, that could influence our decision. What are the market conditions? Are there signs that it is slowing down, or is it a stable market in your area? What about the spring market? 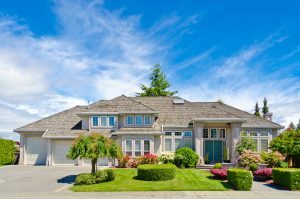 It is a common belief that most homes sell in the spring market. Yet that is not always true. We have had some years when the spring market was barely noticeable from any other time of the year. Pity some seller who had been holding his home off the market until April, and then April’s sales were about the same as December’s! When do most homes sell? Think of the home-buying market. People buy homes because of job transfers; because their family is growing and they need a larger home because the baby is arriving soon; because they are empty-nesters and need to downsize, and sadly, because of divorces, where both partners now need to buy separate homes. All these situations occur throughout the year. People don’t plan for their baby to arrive during the spring real estate market! I once sold a home on the 4th of July to a lady visiting the area from out of town and who was returning to Long Island that evening. I have sold homes on Black Friday, Christmas Eve and New Year’s Eve. Last year, 310 homes sold in Burlington County in the period one week before and one week after Thanksgiving. Over in Camden County, 289 homes sold last year in the week before and week after Christmas. So when is the best time to earn your New Jersey real estate license? Any time! Even if you finish real estate school and begin your real estate career during a slow sales period, that is the perfect time for you to get the training you need to become a real estate superstar! Our next real estate pre-licensing class begins December 3rd in Cherry Hill, NJ.